The Premier League is back! The International break was the last pause before the end of season run-in so it is full steam ahead from now until May. If we were lacking games in week 31, week 32 has come roaring at us with five extra games. Could this be a points bonanza? 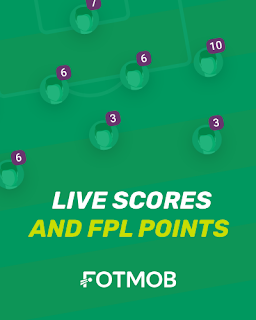 With Manchester City, Chelsea, Tottenham and Manchester United amongst those playing twice, there is a good opportunity to make up some points on your rivals this week with a well played chip. Changing your entire team using the free hit chip could mean a whole team playing twice, whilst Chelsea and Man City’s double fixtures might have you reaching for the triple captain chip. Here are five players you should consider getting in your team one way or another for game week 32. It feels like Sterling made a move over the International break to cement his place as the top player in the Premier League at the moment. Four goals including a hat-trick against Czech Republic really shows just how far he has come. His form for Man City has been faultless for almost two seasons now, so a double header against Fulham and Cardiff will be music to the ears of FPL managers. The stand out fixture on Saturday is Manchester City visiting Craven Cottage, hoping to extend their league at the top of the Premier League table with Liverpool not playing until Sunday. Having had two weeks’ rest over the international break, Sergio Aguero is fresh and ready to take on a poor Fulham defence and chase the 2018/19 Golden Boot. With 18 goals this season and finding the back of the net every 107 minutes, Aguero goes straight into the majority of Gameweek 32 sides and will most likely be my Starting 11 captain this week. 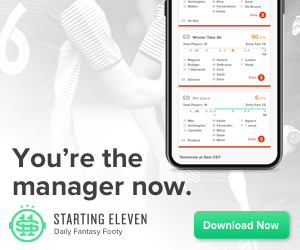 As a template team forms with Free Hits on FPL, one man still owned by only 1.8% of fantasy football managers is Michy Batshuayi – will he be overlooked on Starting 11 too? Since his move to Crystal Palace, Batshuayi has scored twice during four starts and this week faces bottom of the table Huddersfield Town. The Terriers have conceded seven goals during their last three league games and I expect Palace to enjoy themselves on Saturday. After a disappointing defeat to Arsenal followed by their exit from the FA Cup to the hands of Wolves, I expect Manchester United to bounce back against Watford during Gameweek 32 and press on to claim a top 4 position. Key to any Manchester United performance is Paul Pogba, who has had to play more disciplined roles during the team’s injury crisis. However with Matic and Herrera both fit I expect Pogba to return to his number 10 role. Watford are going well in the FA Cup but in the league they have conceded ten goals in only three games and their fans are having to endure unpredictable performances which bodes well for United's attack. Everton and West Ham are two sides that we all struggle to predict results for. Everton lost to Newcastle then beat Chelsea, while West Ham were on the brink of a 3-1 defeat to Huddersfield before wining 4-3. On set pieces and playing as a number 10, any goals Everton do score are likely to have an involvement from their Icelandic midfielder. What may surprise some of you (it did me) is that 'Siggy' has now scored twelve goals this season in addition to his three assists. The only midfielders to have scored more are Salah, Mane and Hazard. Saturday’s clean sheet banker appears to be with Manchester City, the second best defence in the league coming up against the third worse attack. Manchester City, having kept four clean sheets from their last five games now have their back line strengthened with the return of centre-back Laporte. Fulham on the other hand have lost their last seven games and have only scored four goals during that period. Matt Doherty has been a gem this season - a defender playing effectively as a winger is a fantasy football dream and he continues to find himself in and around the opposition box – move over Marcus Alonso! Wolves have their heads up, they are playing some fantastic football, have just deservedly knocked Manchester United out of the FA Cup and are looking like bringing European football to Molineux next season. Doherty has three goals and six assists this season, but to be honest that could have been so much more – can he continue to threaten vs Burnley on Saturday? As I said earlier, I expect Manchester United to bounce back this weekend and in doing so put their top four push back on track – David De Gea has been key to Manchester United’s results and I feel this week he will take home a clean sheet. Since Solskjaer took on the reigns at Manchester United, clean sheets have been few and far between – but the defensive performances of Lindelof and Smalling have steadily improved and with their protection I think we can see more value in owning United’s defensive assets between now and the end of the season. Even if Watford do find a way through, De Gea currently has the third highest number of saves this season with 97 already chalked up. As West Ham were blowing bubbles, Huddersfield Town hearts were breaking – as the Terriers let a 3-1 lead slip and lost the game 4-3. How can Huddersfield recover from that? I’m not sure they can and they could be relegated on Saturday when they travel to Palace. Although Palace have struggled for goals at times this season they have done well at the back compared to the teams below them, I wouldn’t be surprised to see a Palace clean sheet on Saturday and a Palace defensive stack could be a gamble which pays off. Who Got The Assist? Pod 65 - Nick's Free Hit and no Mo Salah? Back to normal this week as Nick returns to the pod to talk about his Free Hit and how he's approaching it, alongside pondering the question of whether it's the end for Mo Salah in our sides for this campaign. We also catch up with the Market forces, the Nick Pick, a swift zombie update and All-Englands before taking some questions. Brann have shown that they are more than capable of keeping it tight at the back. In my opinion, Wormgoor is the best centre-back in the league. He is their captain and therefore the first name on their team sheet. In fact, you could probably captain him too at times. Last season he got 12 clean sheets, 2 assists and 4 goals! He also registered a staggering 17 bonus points in 2018. His disciplinary record is also impeccable as last year he only picked up 2 yellow cards. If all goes as expected, this player will get you regular fantasy returns. To further validate his credentials he also took penalties last season. Currently owned by 46%! Can you go without him? This one will come as a surprise to you. Strand Larsen is only 19 years old, and was on loan last season to AC Milan! There he was not satisfied with Gattuso and felt he was not good enough for him - WOW! Now he is back in Sarpsborg who will most likely play with 2 strikers with him and Skålevik up front. This winter this hot prospect scored 13 goals in friendlies. In some of those friendlies he only played 45 mins. He scored a hat trick vs CSKA Moscow! Sarpsborg are a good team where they love to develop young players and score goals. He’s nailed down in my squad due to his potential and his price. I feel he will represent value, and can hit the ground running. 6.5 for a 3rd striker with that talent? Get him in! Ohi has recently joined Ole Gunnar Solskjaer's old club, Molde. He scored 17 goals in 2017, and had a sub-par 2018 with only 8 goals last season when he was outscored by teammate Boli. This year he will most likely lead the line with Molde with a mild risk of rotation with Leke James. I think Ohi has the potential to become this year’s top scorer. He wouldn’t go to Molde to sit on the bench, and he will use this chance to propel himself into a better league. A Molde striker for 9.0 in my head is a no brainer and he can't be ignored. I think these players will bring a lot of value and bang for the buck for your team. Enjoy! Brann er et lag som liker å holde nullen, og defansiv struktur er fundamentet i spillestilen deres. I mitt hode er Vito Wormgoor Eliteseriens beste midtstopper. Han er kaptein, og forrige sesong holdt han nullen i 12 kamper. Fikk 2 assists og 4 mål. Vito fikk 17 bonuspoeng og kun 2 gule kort. Denne spilleren gir deg clean sheets, bonus poeng og mål. Forrige sesong tok han straffene til Brann. I skrivende stund eies han av 46% av spillerne! Kan du unnlate å ha han på laget ditt? Dette er en forsvarsspiller man til og med kan sette kapteinsbindet på. Dette kommer nok som en liten overaskelse til dere. Strand Larsen er bare 19år, og var på lån I AC Milan I fjor. Der var han ikke fornøyd med Gattuso og mente han ikke var profesjonell nok. (Seriøs gutt dette) Nå er han tilbake i Sarpsborg som mest sannsynlig vil spille med 2 spisser på topp hvor han og Skålevik allerede har funnet tonen. Strand Larsen har notert seg for 13 mål i vinter, og et hat trick mot selveste CSKA Moskva! Han er i troppen min pga det store potensiale og hans lave pris. Sarpsborg er utrolig flinke med unge spillere, så dette kan være et ekte «scoop». Fungerer nok perfekt på laget ditt som en tredje spiss? Ohi gikk fra Stabæk til Molde, mens jeg satt og skrev det her. (Min orginale #3 var Bård Finne fra Vålerenga). Ohi scora 17 mål i 2017, og hadden en litt “dårlig” sesong forrige sesong med kun 8 mål. (Han spilte da primært i en ny rolle bak Boli som var litt uvant for Ohi) I år vil han mest sannsynlig vær toppspissen til Molde. (Vil nok roteres litt med Leke James) Ohi har potensialet til å bli topp scorer i år. Han går ikke til Molde for å sitte på benken, og han vil bruke denne sjansen til å score masse mål slik at han kan komme seg på landslaget og til en større liga. En Molde spiss til 9 millioner, med de egenskapene som Ohi har ser jeg på som et sikkert valg! Han er i alle fall vanskelig å unngå å vurdere. Eliteserien is one Europe's lesser known domestic leagues with a UEFA coefficient ranking of 29/55 during 2018. It goes without saying that this is a fairly niche division even for ardent enthusiasts of Championship Manager/Football Manager. The Trondheim-based club have won Eliteserien a record 26 times, 35% of all titles. In fact, 13 of those titles were attained in succession between the early nineties and early noughties. They also happen to be the reigning champions of Eliterserien. The 2018 title was won by a margin of 5 points and this was complemented by them winning their domestic cup. Unfortunately, they weren't as successful in Europe but they are hot favourites to defend their Eliteserien title in 2019. The Norwegian top tier has far fewer matches than the Premier League so hoping for like-for-like goal scoring tallies to identify marquee players is futile. But the fact remains that historically no player has scored more than 30 goals in this division. In addition, since 1998, only one player has scored 25 goals or more in a season. As for last year, only two players scored 14 goals or more and of the top 10 goalscorers only 2 boasted a strike rate exceeding 50%, so even Josh King would struggle! 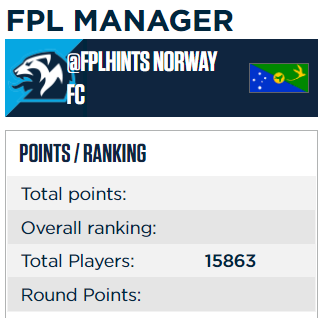 Perhaps this indicates that 3-4-3 or 4-3-3 in Fantasy Eliteserien is simply doomed? If you thought that the paucity of goals among supposed star strikers was as a result of amazing defences, think again. Apart from Rosenborg, no other team conceded less than a goal per game on average. As for actual clean sheets, only three goalkeepers kept at least 10 clean sheets from a maximum of 30 games, which means that the thought of daring to line up with 5 defenders in Fantasy Eliteserien is forever obsolete. Eliteserien in 2018 boasted a higher number of average goals per game (2.80) than the 2017-2018 Premier League (2.68). But as has been discussed earlier it seems that goals aren't concentrated among a handful of regular goalscorers. It's rare for a regular starter to average a goal every other game. Goals were inadvertently shared across the team. Every club seemed to be scoring regularly which accounts for the lack of clean sheets - even the bottom three clubs averaged at least a goal per game, whereas their English counterparts struggled to do so last season. Therefore, the higher goals per game average in part may be explained by a smaller gap in quality between the bottom clubs and those higher up. "Rich Uncle" - As many transfers as you want with an unlimited budget for one Gameweek. "Forward Rush" - All forwards get double points. "Two Captains" - Double points for vice-captain, in addition to your captain. To add to the mix, a rare Double Gameweek is due to take place between second weekend and midweek of Eliteserien 2019, so be sure to use the appropriate chip! The Premier League shares the spotlight with the FA Cup this weekend. Whilst that means a glut of live matches to watch, it plays havoc with fantasy football. A reduced fixture list of just five matches means some careful planning is needed. If you’ve been planning for this for a number of weeks, you are probably sitting quite comfortably reading this. 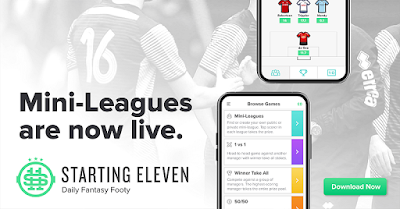 With only 10 teams in action, there will be plenty of FPL teams with less than 11 players this week. There is an argument for playing the Free Hit chip this week. That will allow you to make unlimited changes for one week only and your team will revert for week 32. This is a get out of jail card if you’re sitting with only a handful of players set to play. The only question is whether that chip could be used in another way. For example there will be weeks (expected to be 32 and 35) where many teams play twice, so you could get a points bonanza by picking a team full of players playing twice. With just the five matches to look at, we are able to analyse each game to pick out the potential value. With Tottenham, Arsenal and both Manchester Clubs not in league action, this looks like being one of the trickiest weeks yet. With just one place and three points separating these two teams, a tight mid-table clash is expected. For all the Magpies are tough to break down away from home, they don’t often win on the road which makes Bournemouth favourites here. The Cherries looked a different side with Callum Wilson (£6.4m) back to lead the line with chief protagonist Ryan Fraser (£6.2m) returning to points scoring form. On the negative side, Eddie Howe has some defensive injuries to deal with at the moment with Steve Cook, Adam Smith and Simon Francis out of this one. That should mean Nathan Ake (£5.1m) is partnered by Chris Mepham (£4.5m) whilst Artur Boruc (£4.1m) has been preferred in goal recently. There are no price tags to cloud our judgement on Starting 11 like there are on FPL. Based on current form the choice between Sadio Mane and Mo Salah is an easy one – It’s all about the Mane. A brace in 2 of his last 3 league games has taken Mane to 16 goals for the season, 1 less than teammate Salah and only 2 behind the season's leading goal-scorer, Sergio Aguero. This week Liverpool travel to a Fulham side who have conceded 15 goals during their last 6 games, which bodes well for Mane and co.
Callum Wilson is back and marked his return with a goal and an assist. Now he can’t play against Huddersfield every week but he’s natural goalscorer and demands consideration within our lineups. Bournemouth always seem to be strong at home and this week’s visitors Newcastle may be playing better football lately but have conceded twice in each of their last 2 games. Despite injuries disrupting him, Wilson has actually scored in each of his last 3 starts – 11 goals and 9 assists for the season are fantastic returns for a Bournemouth player. Joining Wilson in this week’s picks is Ryan Fraser, who combined with Wilson twice against Huddersfield to both score and assist last weekend. Fraser has missed Wilson. In fact his last goal was during Gameweek 21 before Wilson was out through injury. Well this partnership is back together and I believe it’s worth doubling up with Wilson and the 'Scottish Messi'. With Maddison’s underlying stats towards the end of the Puel era, it says a lot that I’m disappointed with only 2 assists in the 3 games. Is there more to come? Well Jamie Vardy is certainly firing and like the Wilson/Fraser combo, we have seen the names Vardy and Maddison together a number of times this season already when the Leicester goal alerts are triggered. This week’s opponents Burnley rediscovered their form when club captain Heaton returned to the starting 11, however that bubble has burst with the Clarets now having lost their last 3 games. With 8 assists since August, Robertson is the most attack-centric defender in the Premier League this season. It says a lot about Klopp’s tactics that Alexander-Arnold sits in second place with 6. Add to that a staggering 17 clean sheets from 30 games and Robertson becomes one of the stand out players of the season. Fulham have lost their last 6 games on the run and I expect Robertson to be given room to express himself as his opponents worry about how to deal with Mane, Salah and Firmino, let alone dare to attack. One of the standard fantasy rules this season when searching for potential clean sheets, who are Huddersfield playing? The Terriers have only scored twice during their last 10 games, including their defeat to Bristol City in the FA Cup. With West Ham hosting this weekend, is it the turn of the Hammers to take home a clean sheet bonus? Absolutely no doubt that this week it’s a Liverpool defensive stack, as FPL managers double up – many on Starting 11 will attempt to cash in on 3 or even 4 clean sheets. During Fulham’s 6 game losing streak they have failed to score 3 times (scoring once in each of the other 3 games). A solid defence against poor attack. I think we all know how this one is ending. He was on a 5 game streak without a clean sheet but after backing him as a differential last week Boruc delivered, keeping out Huddersfield during his sides 2-0 win. Can he make it 2 clean sheets from 2? Well he will have his work cut out as Newcastle have found their shooting boots – however Bournemouth are a much stronger side at home than they are away and I think they will prove to be a difficult task for Newcastle.